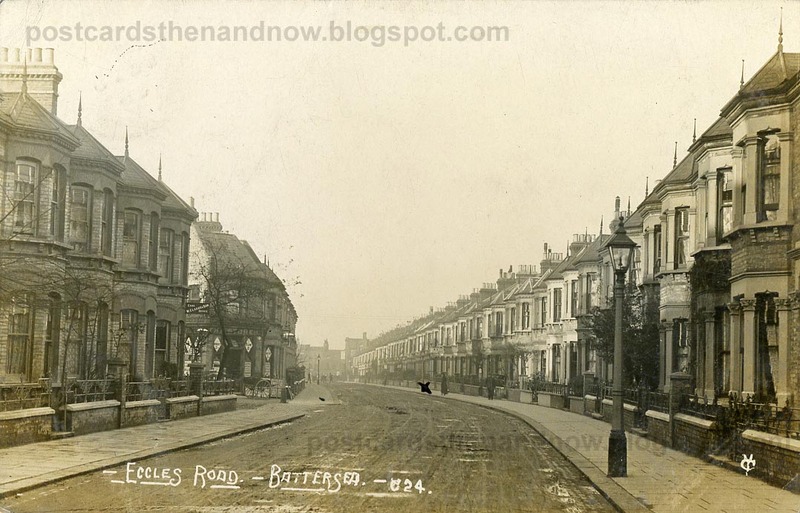 South London, Battersea, Eccles Road 1906. Early postcard by Young & Co of Teddington. Well, there are trees now and a little bit more variety than before. Not a bad spot at all. (as with everywhere) the view is spoiled with too many cars these days!